It was a great opportunity for me and hubby to visit this church,-considered to be the "mother church of Western Maryland." Emmanuel Parish Episcopal Church is rich in history and art. 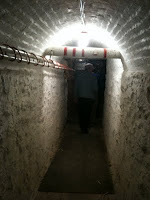 We actually did a quick tour starting from the church sanctuary down to the highlights of the visit; - to go underground and witness the tunnels that had been a secret to many during the colonial era. The story of the underground railroad of the church is quite interesting. The secret underground wayback during the time it was built was considered a highly illegal conspiracy where countless of African and white Americans were involved during the slavery years. 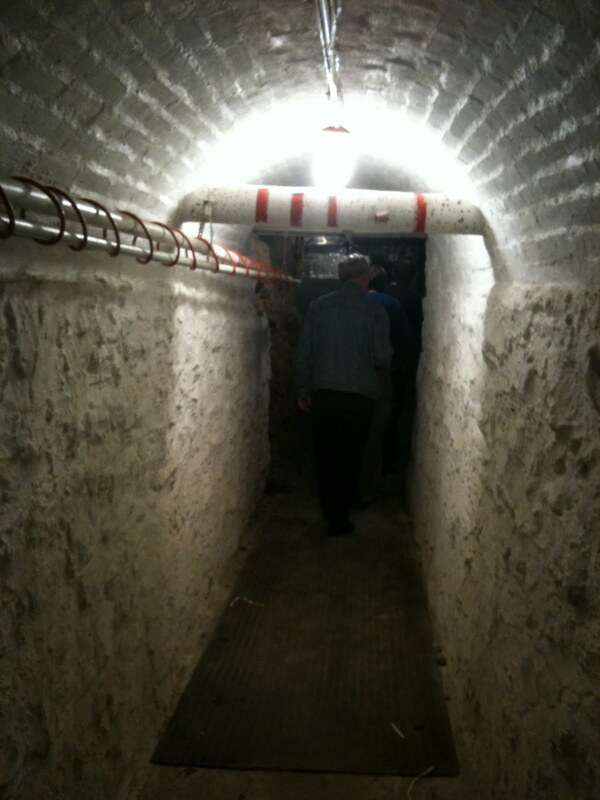 These secret tunnels that led to Emmanuel Church served as the escaped route of slaves. During those days, any slave caught escaping will be returned to the master and could be beaten or killed at the master's will. This is a long story to tell, so I am sharing the basic facts only on this post :). This is one great trip I won't forget. Learning a piece of history and witnessing the old earthworks are quite worth of a trip experience.